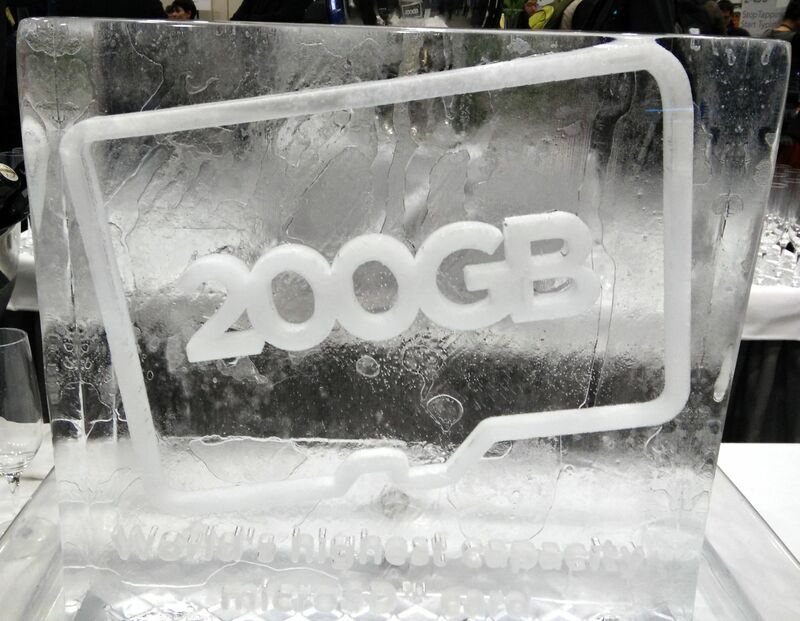 SanDisk caused a bit of a stir at Mobile World Congress today as they showed off their 200GB microSD card. That’s it in my hand above. The SanDisk 200GB Ultra microSD card can hold up to 20 hours (!) of full HD video and transfer files at up to 90MB a second, which means 1200 photos a minute. It’s the highest capacity microSD card for mobile devices in the world, and would obviously boost storage space on a phone by a ridiculous amount (although it’s worth noting that many phones have caps on the microSD capacity they can support, so check before you buy!). It’s aimed at Android users, and will come with a 10-year limited warranty. The 200GB Sandisk Ultra MicroSD card will be available worldwide in the second quarter of 2015 for an RRP of $399, or about £259.